The University of Kansas Lighting Research Laboratory includes a 715 square-foot Henderson Engineers Illumination Laboratory located in 2400 LEEP2 and dedicated by Henderson Engineers Inc., and a Dark Room located in 1152 Learned Hall. The Henderson Engineers Illumination Lab is a daylit space on the second floor of LEEP2 building with large strip windows facing south. Floor-to-ceiling curtains divide this lab into multiple sub-areas for daylighting education and research, Solid-State Lighting display, mock-up tests, controls and more. Two side-by-side identical sub-areas close to the south windows have suspended ceiling with adjustable height for testing different types of lighting systems for comparison, where students can take measurements and set up control schemes. In another sub-area, tall walls have measurement foot/inches denoted on them. A grid of power tracks on the ceiling can be used to mount lighting fixtures and test their actual output and beam pattern. 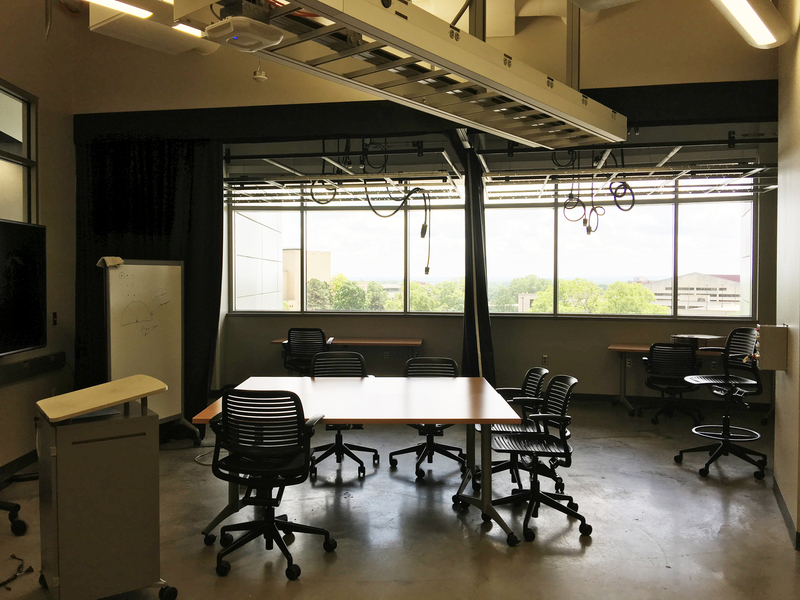 The multi-purpose arrangement enables both research and teaching in this lab that accommodates four graduate research assistants and 14 more seats for class teaching. 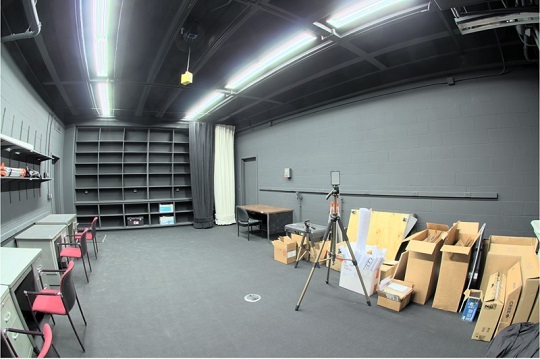 The Dark Room is a 550 square-foot windowless high-bay space dedicated for lighting measurement and test in a well-controlled laboratory environment. This space was remodeled with all interior surfaces painted flat black. Currently, the Dark Room accommodates an LED workshop, a full LED light measurement system with 0.5 m integrating sphere, a portable calorimeter chamber for accurate heat transfer measurement of the new LED luminaires in a well-controlled environment, a Heliodon sunlight simulator for daylighting studies, a traffic signal light control cabinet, and a lot of test equipment including Minolta light meters, environmental meters, power meters, infrared cameras, laser distance meters, Onset data loggers and sensors, AC/DC power supplies, etc..
For more information, please visit Dr.Hongyi Cai's website: http://people.ku.edu/~h717c996/ or contact him directly.